Please choose one of the following three options to answer for your essay assignment. Each question will be marked out of a total possible 100 marks, and the final mark of this assignment will be your mark for the module. For each question, please demonstrate knowledge from the assigned readings on the Reading List/discussions from Lecture and seminars. Discuss theory and examples, from the contents within this Spring 2018 MN7406 module. Discuss at least 1 of the following 3 videos from the module lectures, by applying the meanings from the video to postcolonial theory, and to international business practice. Remember that each of these video links are available within the Lecture slides, posted on Blackboard. (1) You may like to begin by providing an overview of the purpose and key points in the video(s). In so doing, do not just quote randomly from the videos, but explain in a coherent, analytic manner, the meanings that you derive from the purpose of these talks/demonstrations. This part, together with the Introduction, should be no more than about 1/3 of your total essay length. (2) Next, discuss how these videos bring to life key concepts from postcolonial theory. You may refer to our lecture exercises, seminar readings, and many additional readings on postcolonial theory on the Reading List, as available resources. (3) Consider how these postcolonial concepts, which come to life in various ways in the video(s), may guide your approach to international business. Parts (2) and (3) should be approximately 2/3 of your total essay, including the Conclusion. It is your choice how much of your discussion to balance between (2) and (3) – what is important is that you make meaningful points demonstrating reflection upon the module material. *In your essay, it is crucial that you connect clearly to academic articles/chapters from the module, to support your discussion. A beautifully-written essay about the video(s), but without any connection to key concepts and academic references, will sadly not result in a passing mark. (1) Discuss examples of marginalised experiences of international management and business, specifically from articles/chapters on the Reading List and discussions in Lecture/seminars. Remember that we have talked about marginalised experiences as those experiences that have been overlooked, misunderstood, and/or silenced in mainstream coverage of international business. Make connections to the theory that is discussed in the readings about these experiences (in other words, don’t simply describe the experience, but its importance within the theoretical frameworks/purposes of the article). Part (1) should be approximately ½ of the essay, including the Introduction. (2) Taking as a starting point these specific marginalised experiences, how might we imagine alternative ways of doing international business? For instance, for marginalised individuals who are exploited or ignored, how might placing their voices and experiences at the centre of debates shift our thinking about international business? Part (2) should be approximately ½ of the essay, including the Conclusion. (1) Outline an essentialist approach to understanding one of the following categories: group, culture, nation, identity, gender. Critically compare this to a social constructionist (or non-essentialist, e.g. Nathan 2015) account of the same category. (2) Next, discuss the practical consequences of using essentialist vs social constructionist (or non-essentialist) approaches to understanding international business and management? Alternatively, you may explain how the identity theory of intersectionality challenges essentialism, drawing upon various management and business studies about intersectionality in the Reading List, as well as video resources in the Lecture about intersectionality. • Please use the Author-Date (Harvard) Referencing Style. For details, please see this link: https://www2.le.ac.uk/library/help/referencing/author-date/author-date#quotations which also includes sections such as how to use quotations. • Have a clear structure. There is no prescribed structure for all essays, but broadly, it is important to start with an introduction that clearly outlines the purpose of your essay and its structure, then proceed with your analysis, and have a clear conclusion. Make sure your paragraph lengths are broadly consistent – for example, don’t have 1-2 sentence paragraphs, and don’t have paragraphs that are a full page long, which makes it difficult for the reader to follow the flow. 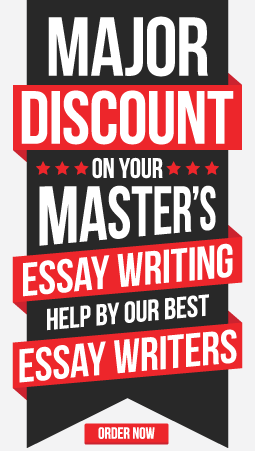 • Your essay must be 3,000 words (with an accepted range from minimum 2700 to maximum 3300 words). Word count does not include the Reference List at the end. Essays that do not stay within this Word Count will have substantial mark reductions. • In order to pass the assignment, you must reference articles/book chapters/books specifically from the Reading List of this module, MN7406. • There is no set number of references required. Balance the references that you use with the depth of detail that you need to discuss the points. (For example, don’t have a reference cited for every sentence, and focus on developing your arguments). What is more important than the total number of references, is which references you use, that you cite them accurately, and you avoid plagiarism of any sources. It is crucial to skilfully demonstrate your understanding of referenced articles in your analysis. • Avoid Wikipedia.com sites and similar popular websites for any referencing of academic concepts. You are welcome to use web links to discuss current phenomena in the news, but do not use, for example, dictionary.com to discuss the meaning of the concept essentialism, which is discussed in many readings on the Reading list. • Review your feedback from previous essay assignments. 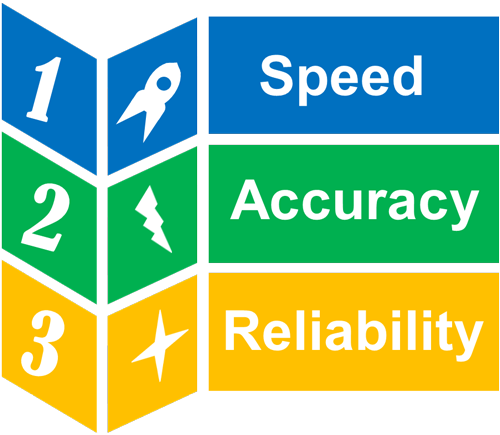 Many feedback points can apply across different modules, such as how to analyse rather than describe, how to cite quotations accurately, and so on. Best wishes with this assignment.